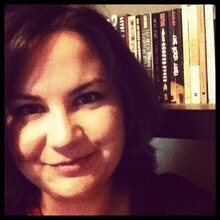 Amye Archer has an MFA in Creative Writing from Wilkes University. Her work has appeared in [PANK], Twins Magazine, Provincetown Arts, The Ampersand Review, H_ngm_n, Boston Literary Magazine, and Hippocampus. Her first chapbook, No One Ever Looks Up was published by Pudding House Press in 2007. Her latest chapbook, A Shotgun Life, was published by Big Table Publishing in 2011. She is a freelance writer and an adjunct at 9,000 different schools. She is also the Reviews Editor for [PANK]. You can read her blog at www.amyearcher.com. You must log in to write on Amye Archer's wall.